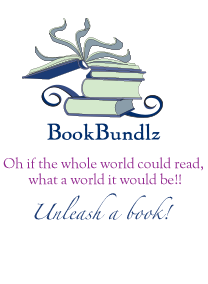 BookBundlz - News Welcome to BookBundlz - Your book club & reading group resource. - Unleash a Book! We all know that there are books out there that leave us wanting more. Sure, part of that could be that the book is so good we’re just sad we finished it, but sometimes it’s because we’re left feeling unsatisfied. The most frustrating thing is turning the page and realizing it’s the last one. You know that moment where you find yourself thinking “there’s no way they’re going to wrap it up in these last paragraphs!” or “wait, wait, there’s more right?” or some other version that might include expletives I can’t use here. These all express the same thing though, you want more, you feel gypped, and you can’t believe the author is going to leave you hanging like… Hmmm what are these books? Click Here to find out! A few weeks ago, a friend of mine asked if I'd like to participate in his “Books, Authors, and Wine Tasting” event. I had just published Sleeping Tigers, so I said yes. I wasn't expecting to sell any books, really—I hadn't started marketing the novel yet, and this was the kind of event where the authors sit at tables displaying their wares, like a craft fair, while potential readers wander around with glasses of wine.